We stayed at a cheap hotel near the station. ما در یک هتل ارزان‌قیمت نزدیک ایستگاه ماندیم. I stayed at a hotel near the airport. I’ve booked the flights and the hotel. We’ll be at the Hotel Ibis. ▪ stay at/in a hotel We stayed in a hotel near the airport. ▪ check into a hotel (also book into a hotel British English) He checked into the hotel a little after 2 pm. ▪ check out of a hotel (=leave a hotel) We packed and checked out of the hotel. ▪ run/manage a hotel They run a small hotel in Cornwall. ▪ a hotel room She was watching TV in her hotel room. ▪ a hotel suite (=a set of rooms in a hotel) The singer was staying in a luxury hotel suite. ▪ hotel accommodation British English, hotel accommodations American English (=rooms in a hotel) The price includes hotel accommodation. ▪ a hotel guest Hotel guests have free use of the gym and pool. ▪ the hotel restaurant/bar/gym The hotel bar was empty. ▪ the hotel reception/lobby She waited for him in the hotel lobby. ▪ a two-star/three-star etc hotel (=a hotel that has been given a particular rating) On our honeymoon, we stayed in a four-star hotel in Paris. ▪ bed and breakfast (also B & B) a private house or small hotel, where you can sleep and have breakfast: There’s a nice bed and breakfast in the village. | I’ve got a list of bed and breakfasts from the tourist information. ▪ guesthouse a private house where people can pay to stay and have meals: We stayed in a well-run guesthouse near the sea. ▪ hostel/youth hostel a very cheap hotel where people can stay for a short time while they are travelling. Hostels are used especially by young people: New Zealand has a network of small hostels, ideal for backpackers. • We stayed at/in a hotel. 3. (IndE) a restaurant Some speakers do not pronounce the ‘h’ at the beginning of hotel and use ‘an’ instead of ‘a’ before it. This now sounds old-fashioned. mid 18th cent. : from French hôtel, from Old French hostel, from medieval Latin hospitale, neuter of Latin hospitalis ‘hospitable’, from hospes, hospit- ‘host, guest’. • We stayed at a cheap hotel near the station. • The hotel features a beautiful dining room overlooking the lake. • The hotel is fully air-conditioned. • The hotel is situated in the heart of the city. • The hotel offers excellent facilities. • We checked into the hotel, then went for a walk along the beachfront. • We met at the hotel. • We're staying at a cheap hotel near the station. • We're staying in a two-star hotel in the centre of the city. • He owns a big hotel chain. • I took a taxi back to my hotel. • I'll collect my bags and check out of the hotel. • It's a family-run hotel with a relaxed atmosphere. • It's a five-star hotel. • It's the poshest hotel I've ever stayed in. • Most of the jobs are in the hotel and catering industry. • She booked into a hotel near the conference centre. • The hotel is about five miles from here. • The trip includes two nights in a luxury hotel. • There is a shortage of hotel accommodation in the city. 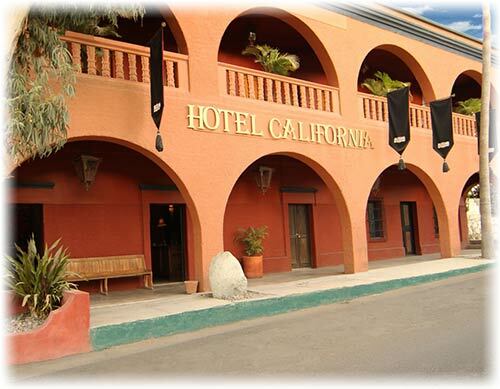 • This is a delightful hotel within easy reach of all amenities. • We arranged to meet in the foyer of the hotel. • We ended up in a seedy hotel next to the station. • We had dinner in the restaurant of a large hotel. • You can make phone calls from your hotel room. We stayed in/at a hotel on the seafront. A hotel is a building where people stay, for example on holiday, paying for their rooms and meals.